With the year round playing of baseball, there has been a meteoric rise in ulnar collateral ligament (UCL) reconstructions in the elbows of baseball players, commonly known as “Tommy John” surgery. Sadly, there is no off-season anymore. Kids throw all summer, play fall ball where they throw more, then when the snow hits, they go inside and continue to throw until it warms up again, then the process is repeated. There has been a sevenfold increase in elbow surgeries since 2000, according to the American Sports Medicine Institute. So much can be done to prevent them, but if the rehab is done right after surgery, they shouldn’t happen again. So what’s the story with this injury, surgery, and eventually, Tommy John rehab? The baseball pitch is the fastest recorded human motion, and elbow extension velocity during the throw has been found to be between 2200-5000°/second. As a comparison, the underhand softball throw is about 680°/second, and the tennis serve is about 1750°/second. 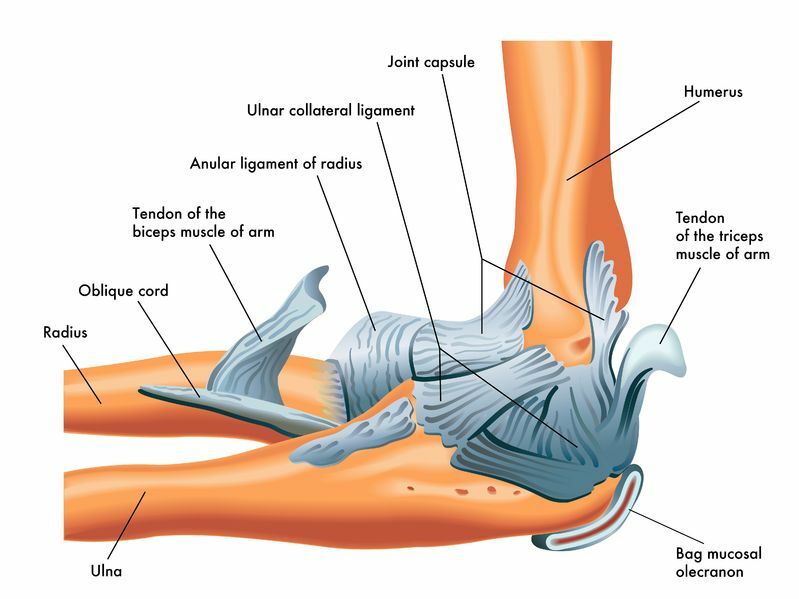 The ulnar collateral ligament (UCL) in the elbow is a tiny ligament that largely has to control motion at the elbow during the throwing motion, resisting over 50% of the forces that “gap” the elbow during the throwing motion. The UCL is torn as a result of repetitive overload, leading to microtears, and eventually rupture. In a young athlete with open growth plates, the bone can separate at the growth plates, causing further injury. Basically, the ligament takes the bone with it. This is analogous to pulling weeds – the weeds come out, but often a chunk of dirt comes with it. 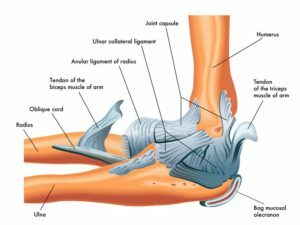 In fact, adults tend to rupture the ligament in the middle of the ligament because the bones they attach to are fused or closed at the growth plates. In skeletally immature kids, they tend to tear at the bony attachment because it’s the weakest link because growth plates haven’t closed yet. 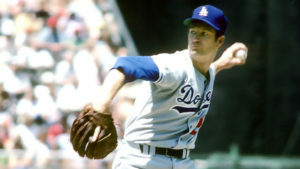 Once it ruptures, the athlete needs what is commonly called the “Tommy John” surgery, performed first in 1975 on major league pitcher Tommy John. His surgery was successful and has carried his name ever since. Tommy John rehab is a long process that will require patience and persistence. First of all, the orthopedic surgeon will set guidelines for range of motion restrictions to ensure that the graft heals appropriately and doesn’t get stretched too soon. There is no need to be aggressive in this initial phase as the graft can fail if the stretched too soon. Strict adherence to these guidelines is imperative. A successful surgery can fail if the athlete is too aggressive. It is not a race to get motion back. If the athlete does what they’re supposed to do, the motion will come to them in due time. Restoration of range of motion (ROM) is done in a gradual fashion. Typically, the athlete is in a splint for the first week or so and then gentle ROM exercises commence in a prescribed ROM. The first 6 weeks or so of Tommy John rehab are relatively boring, which is on purpose to allow healing to occur. In these initial phases up to 6 weeks, wrist exercises, gripping exercises, and isometric exercises for the biceps/triceps are done. In addition, given that athletes largely are the ones having this surgery, cardiovascular conditioning is addressed with riding an exercise bike. Not only that, but maintaining leg strength and hip mobility can take place during this time. Over 50% of the pitch comes from the legs. Mobile but stable hips are critical for the athlete after Tommy John surgery. Once the athlete hits the 6 week point, progressive strengthening of the rotator cuff, scapular stabilizers, and the wrist/elbow can take place. An elbow is only as strong as the parts it attaches to. Therefore, a strong, stable shoulder along with strong hip/core muscles inevitably help reduce strain on the reconstructed ligament. During these later phases, there are other important components that should take place with Tommy John rehab. Many times, bad habits done over time lead to the surgery in the first place, so it’s important to look at the pitching mechanics. For the most part, the mechanics we tend to address are the arm path from the glove, arm slot position, stride distance, knee flexion angle, and trunk position. A thorough review of proper mechanics can be found here. As discussed previously, these later phases are the ideal time to improve hip mobility and stability. Throwers need hip mobility to execute proper stride distance and studies have shown that hip/shoulder separation is needed not only for better performance, but also for injury prevention. Another often missed but critical aspect of Tommy John rehab is spinal mobility. In a time of texting/sitting at a computer/playing video games, posture has gotten increasingly bad and subsequently, spines have gotten very stiff. As a result, the scapular muscles aren’t in an optimal position to do their job and injuries result. In order for the pitch to be performed correctly, the athlete needs an appropriate amount of thoracic extension as well as rotation. Effectively, spinal mobility allows the body to “wind up” better. 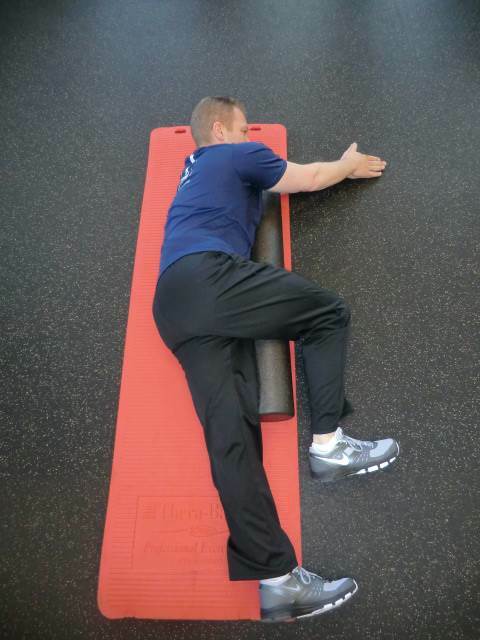 One example of a spine mobility exercise is pictured below. “Open Book” exercise, starting position. This exercise improves spinal rotation. “Open Book,” ending position. Contact between the trunk and foam roll is maintained. In general, athletes begin an interval throwing program around 4-6 months after surgery. 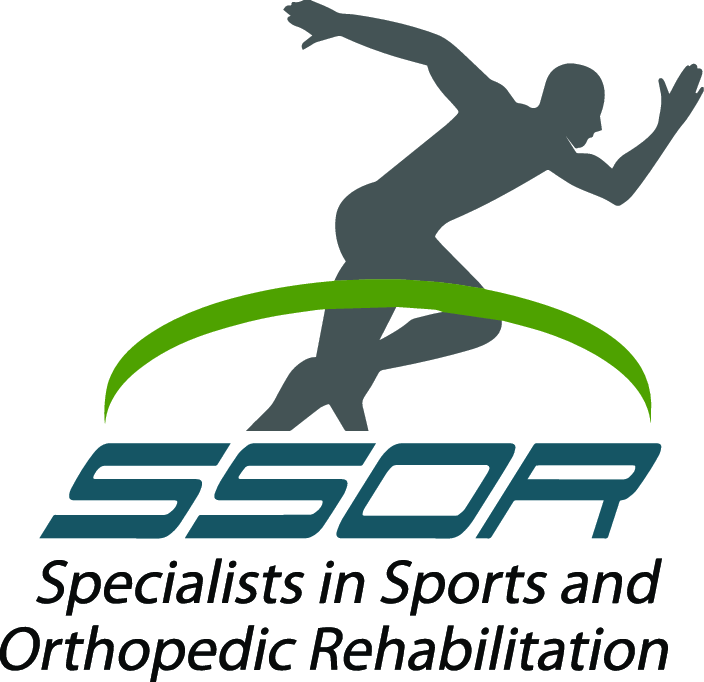 This varies however due to surgeon preferences and the athlete’s injury history. It is a graded progression of throwing from flat ground over short distances to eventually throwing off the mound. It can take a few months to work through this program, but it is vital that the thrower stick to the guidelines while at the same time continuing with their exercises for shoulder maintenance. The analogy here is that it can take months to train for a marathon – a person training for a marathon doesn’t run 26 miles the first day. It is the same idea for throwers – the progressive overload from the interval throwing program ensures that the body gradually adjusts to increasing stresses with minimal risk of further injury. Return to sport after Tommy John surgery is anywhere from 8-9 months to well over a year, depending on many factors including surgeon preference, the athlete’s injury history, and the level of competition they are returning to. With all that said, it is imperative that the athlete continue to perform many of their Tommy John rehab exercises regularly to reduce the risk of future injury. There are some great resources available for parents and athletes, in addition to the American Sports Medicine Institute listed above. PitchSmart is an informative site dedicated to giving up to date information on injury prevention and pitch counts. Another very good site is Elite Baseball Performance. Some of the better minds in baseball have collaborated to give evidence-based recommendations on injury prevention, rehabilitation, and performance. Can This Injury Be Prevented? There are some clear cut things that athletes, coaches, and parents can do to avoid this injury. First and foremost, research suggests that you should not throw more than 8 months out of the year. Risk of injury is 5x higher if you throw more than 8 months out of the year. Secondly, adhering to pitch count recommendations advocated by the American Sports Medicine Institute is important. As stated above, this injury is largely an overuse one, so “saving your bullets” will help. Next, giving the arm “tender loving care” will help. 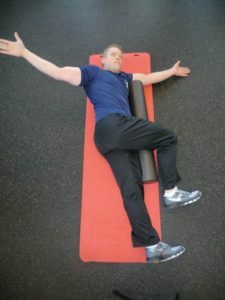 Icing after games, stretching the back of the shoulder (which tends to get tight from throwing), foam rolling, rotator cuff and scapular strengthening, and spine mobility exercises performed as part of a regular routine will help keep the arm healthy. Lastly, listening to your body is imperative. Athletes should not have elbow or shoulder pain when they throw. If they do, they should be evaluated by a physical therapist, athletic trainer, or orthopedic doctor. Our team of skilled sports physical therapists can help you throughout your Tommy John rehab. 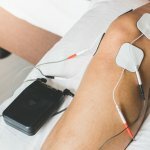 We understand the injury, the surgery, and how to get you back to sports. It would be a privilege to serve you and partner with you in your care. Give us a call!